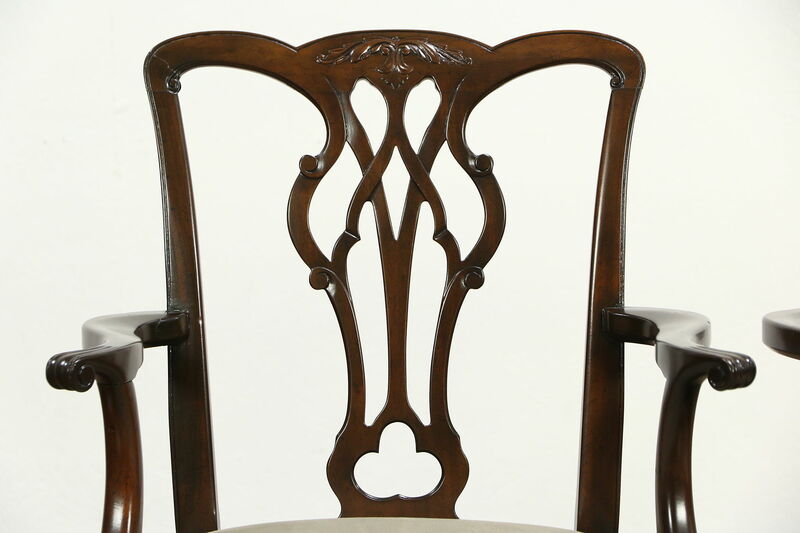 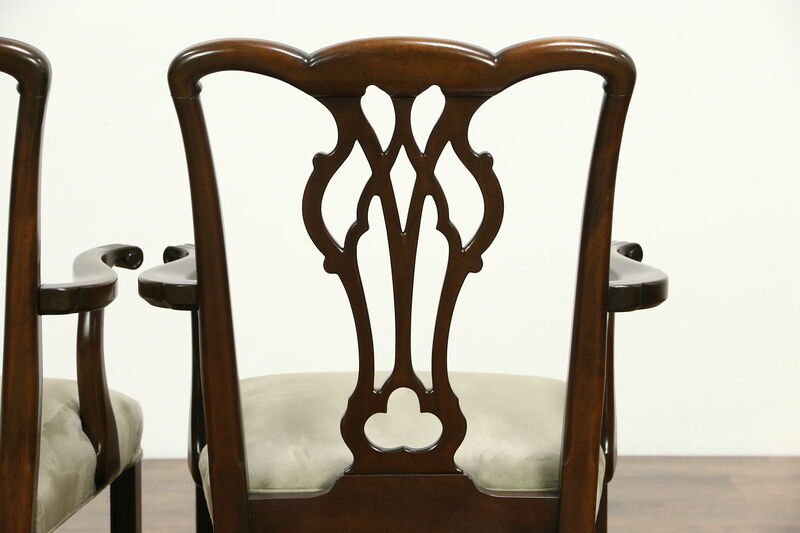 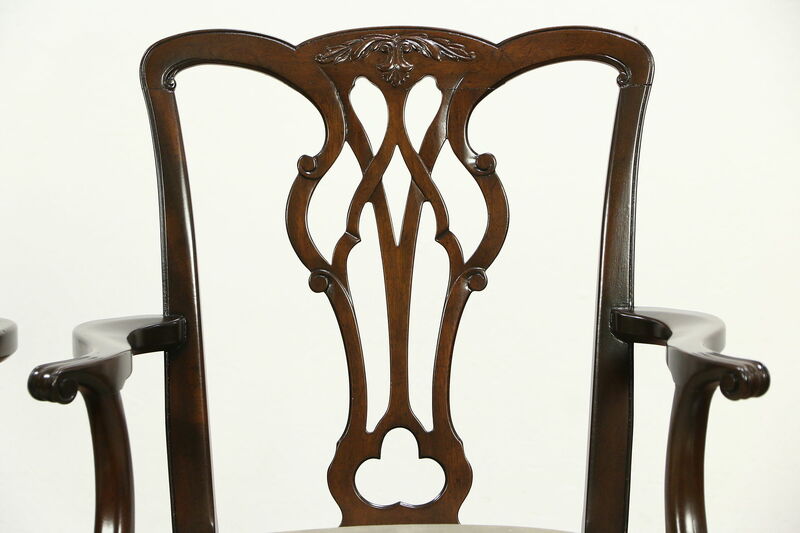 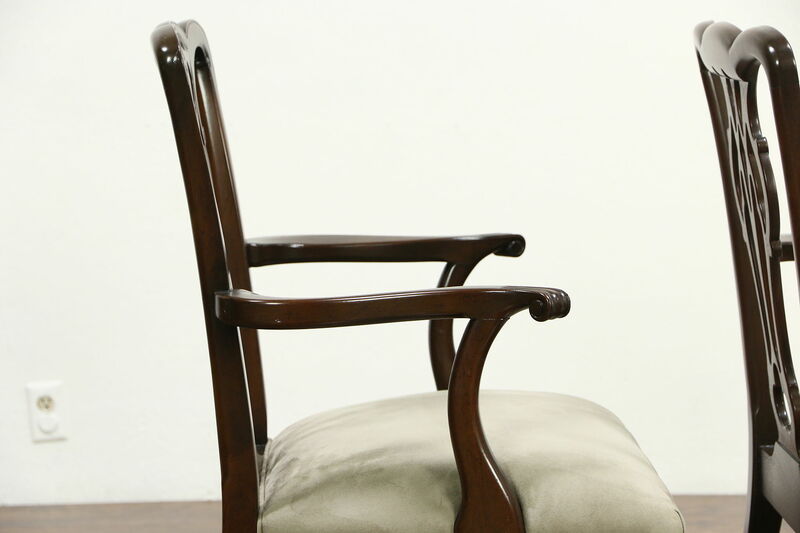 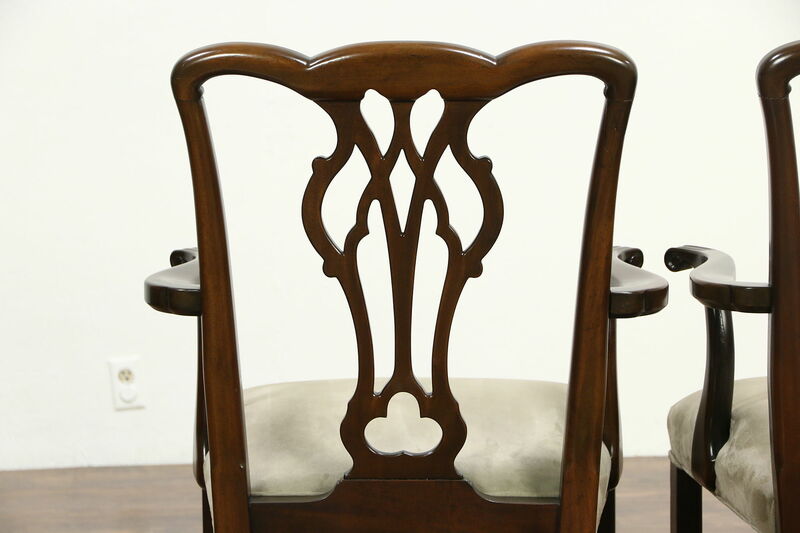 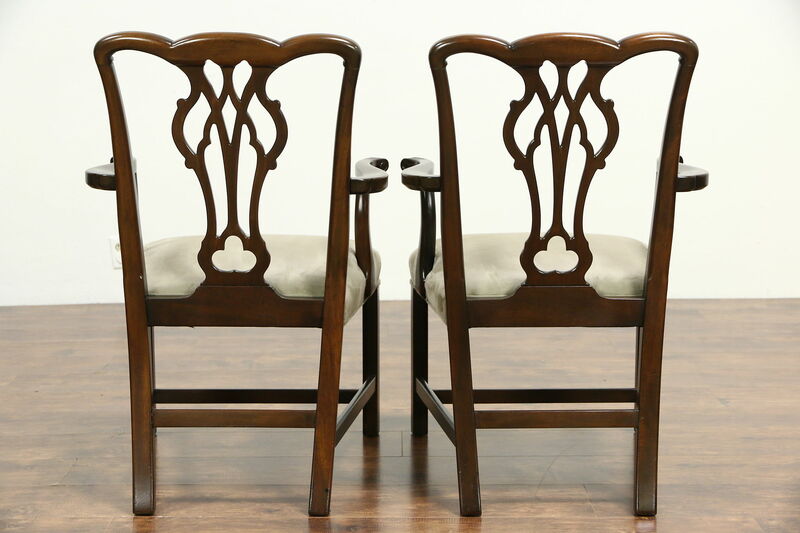 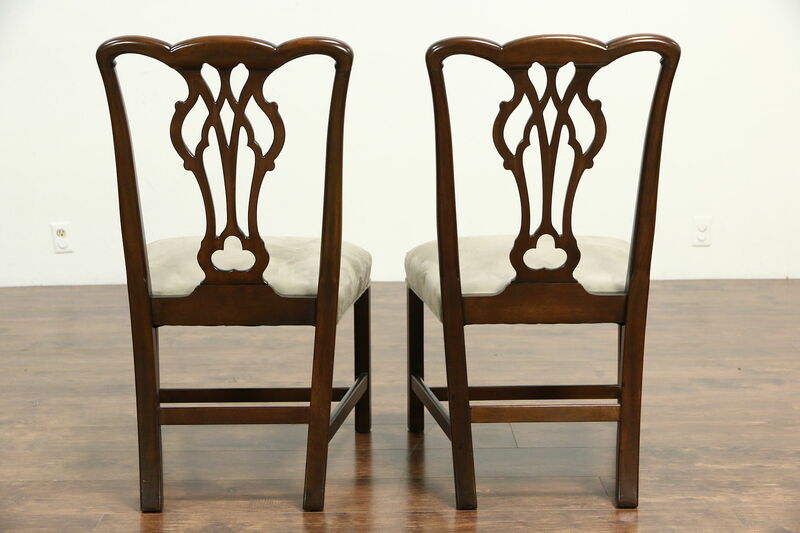 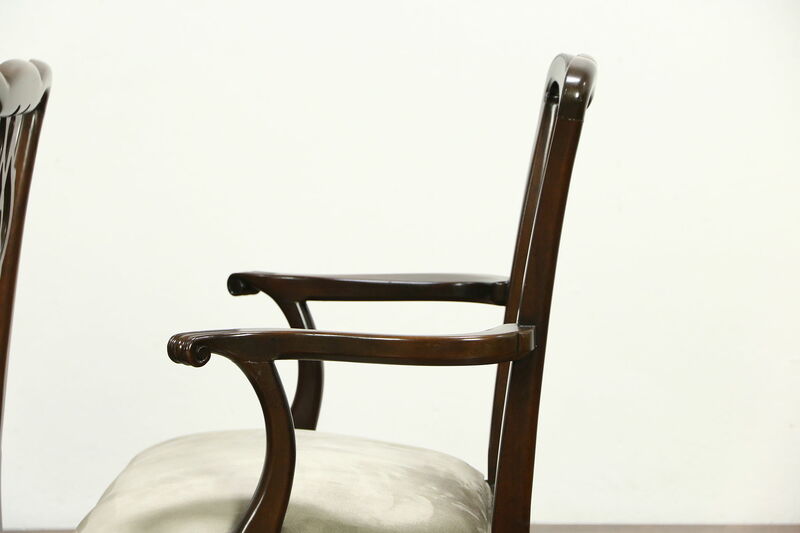 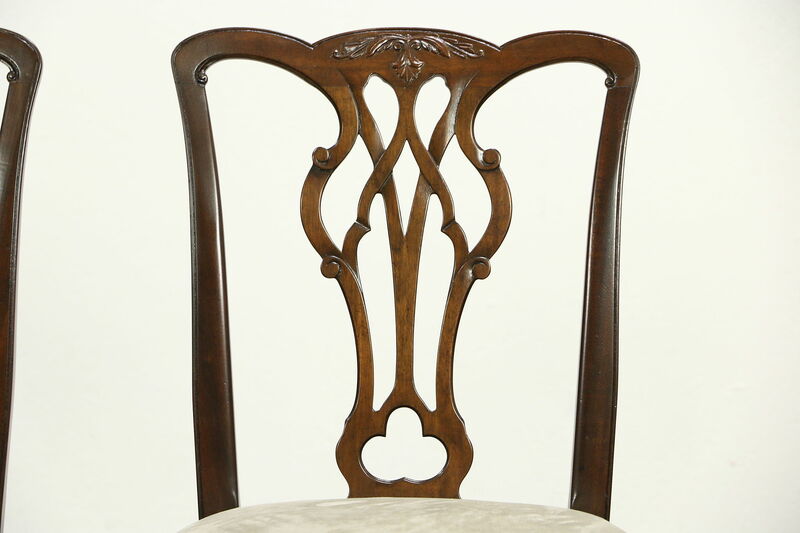 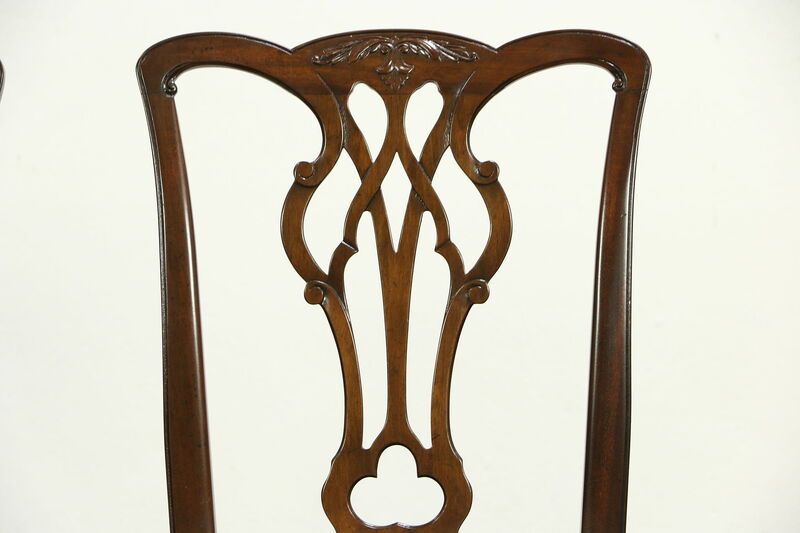 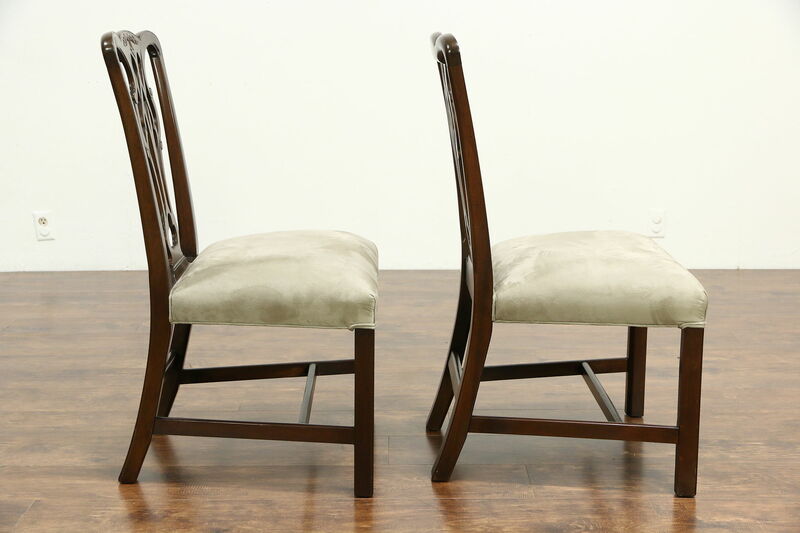 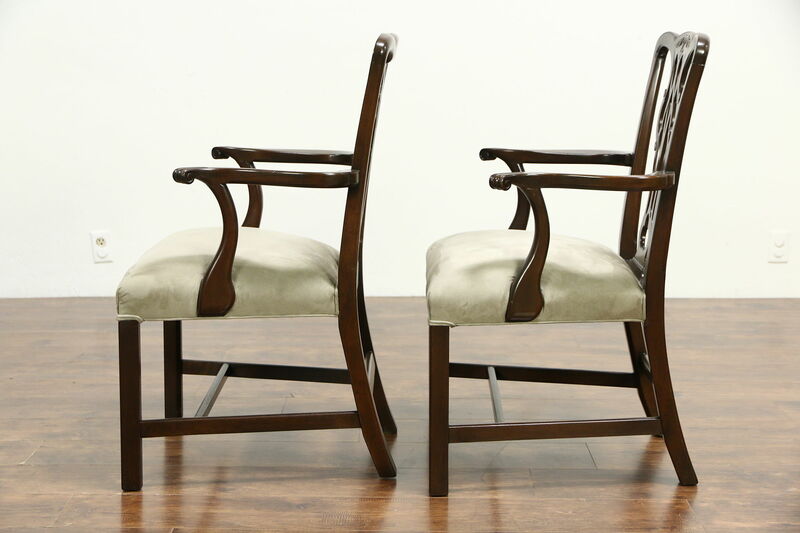 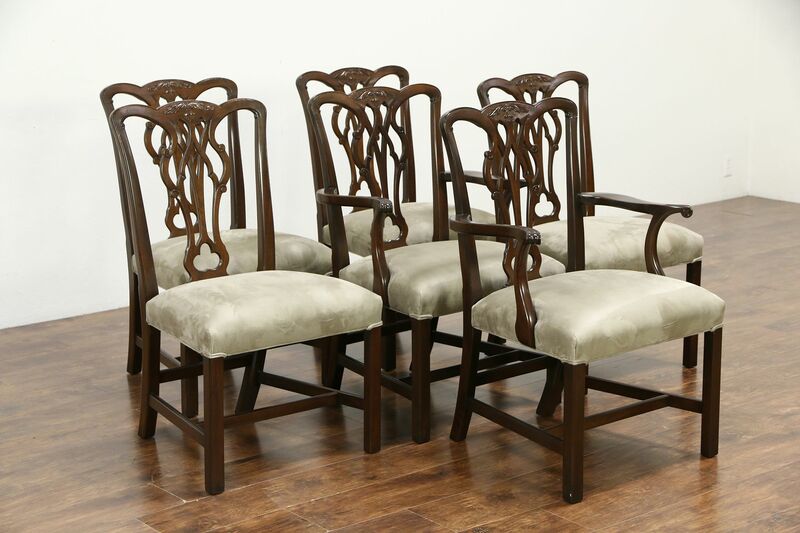 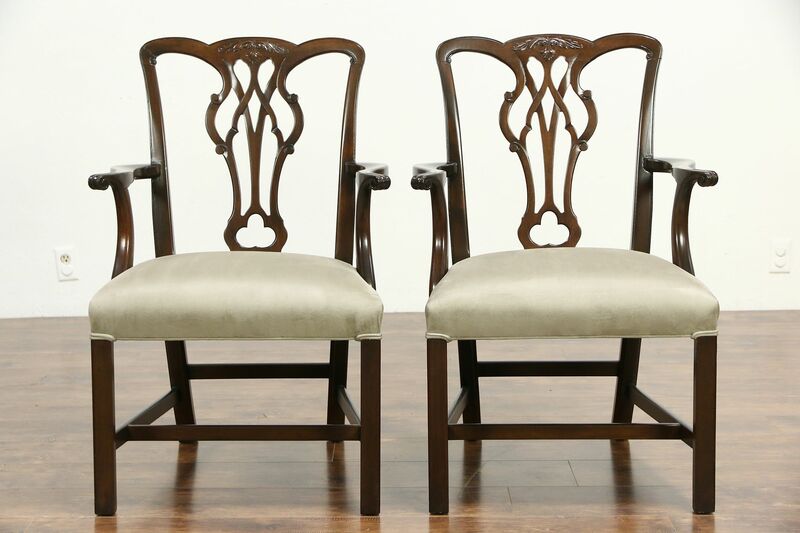 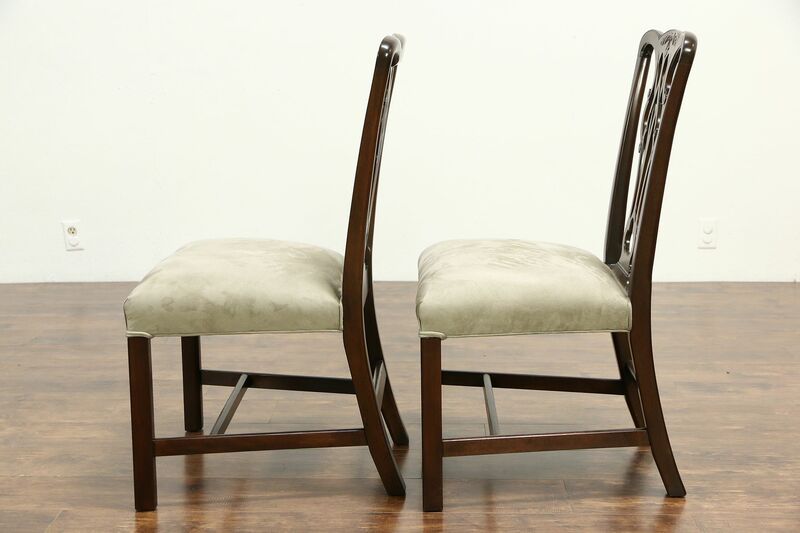 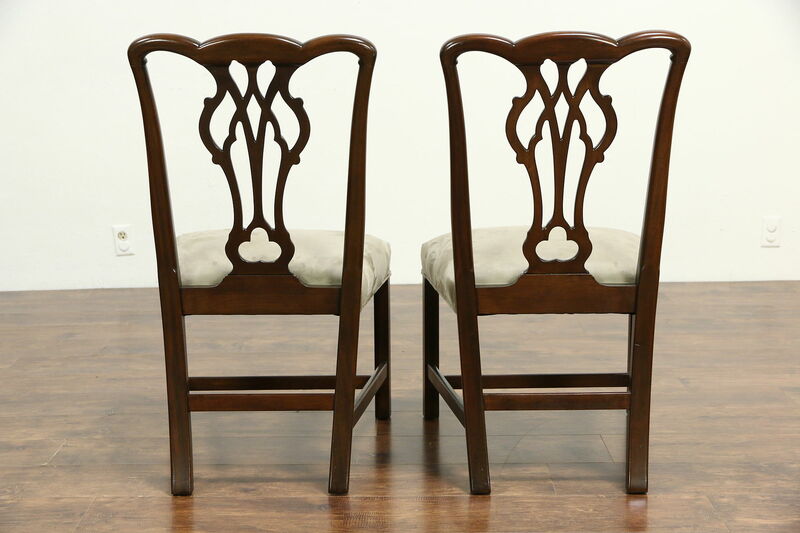 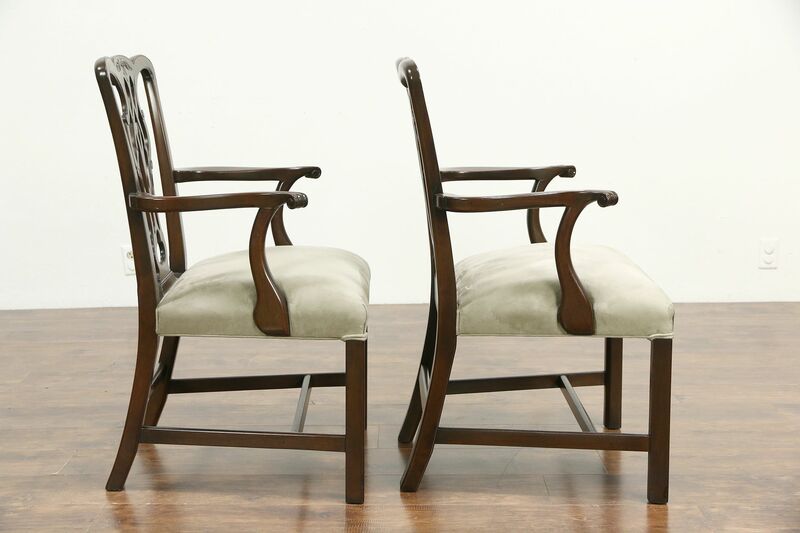 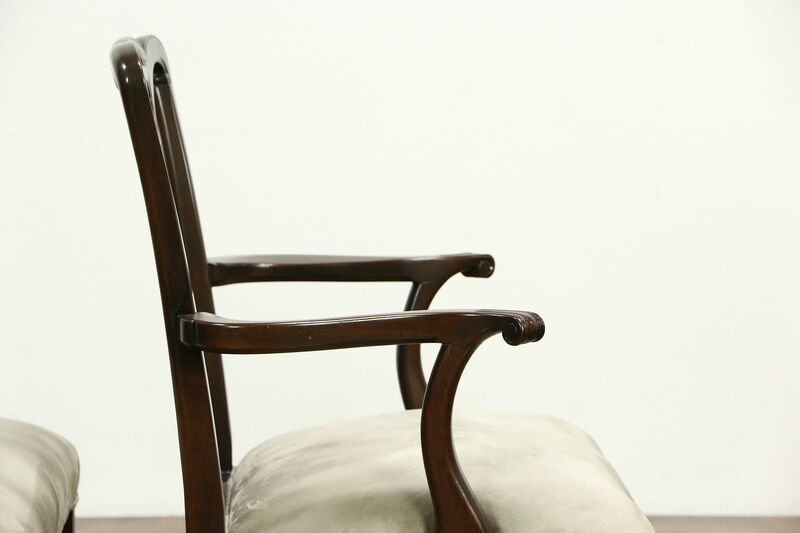 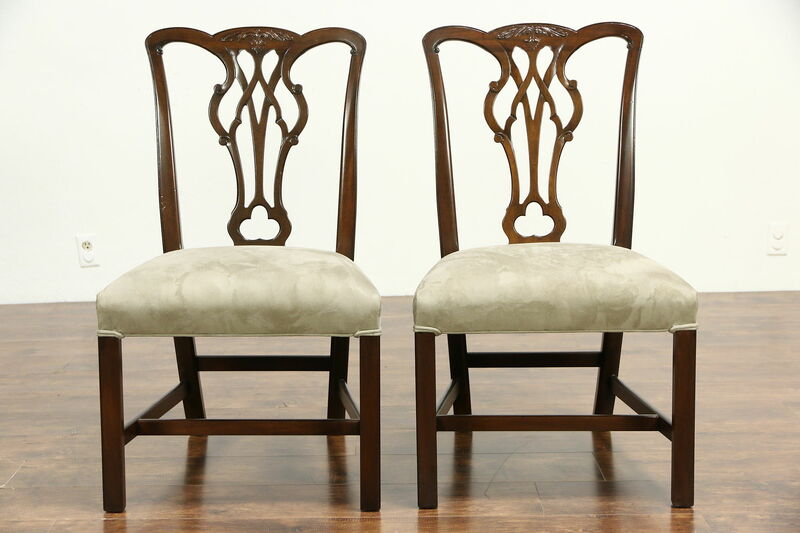 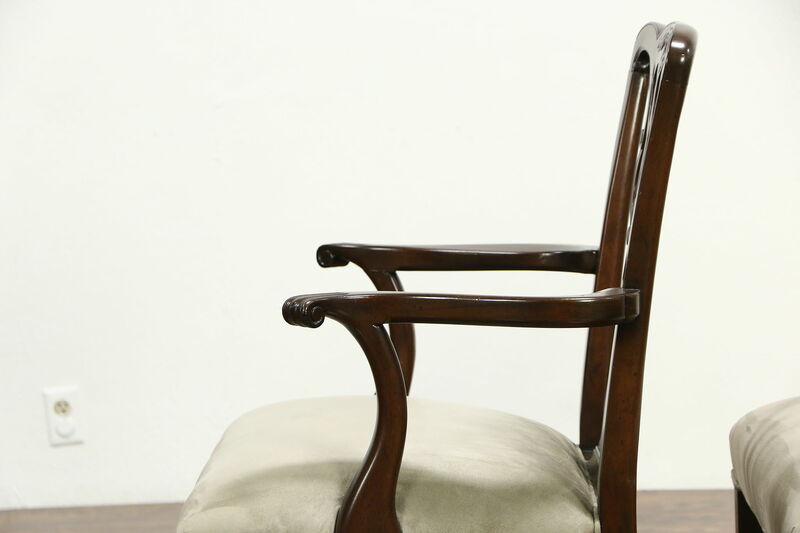 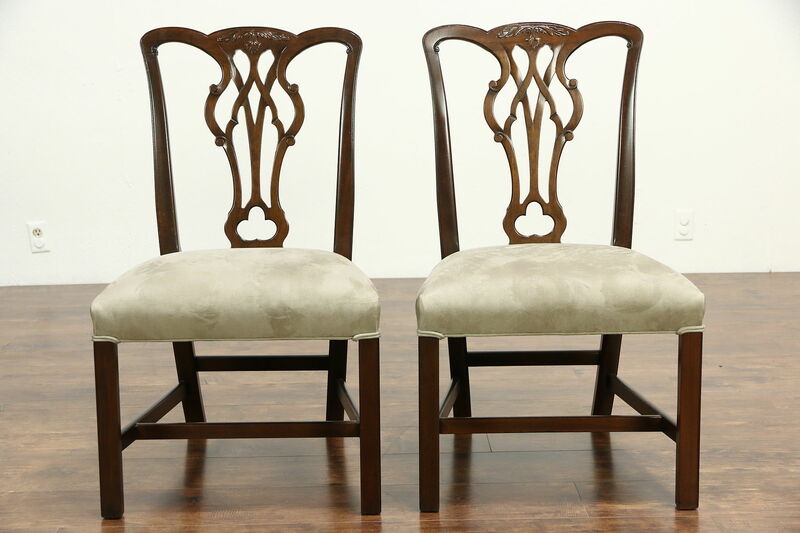 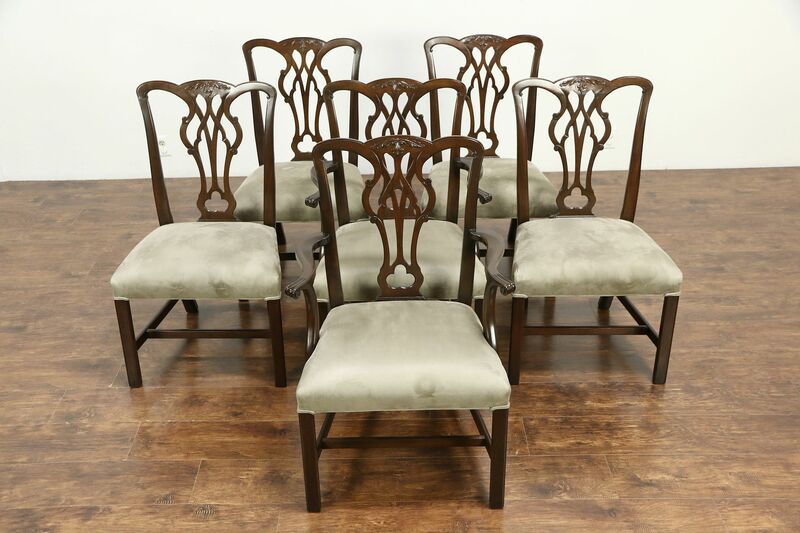 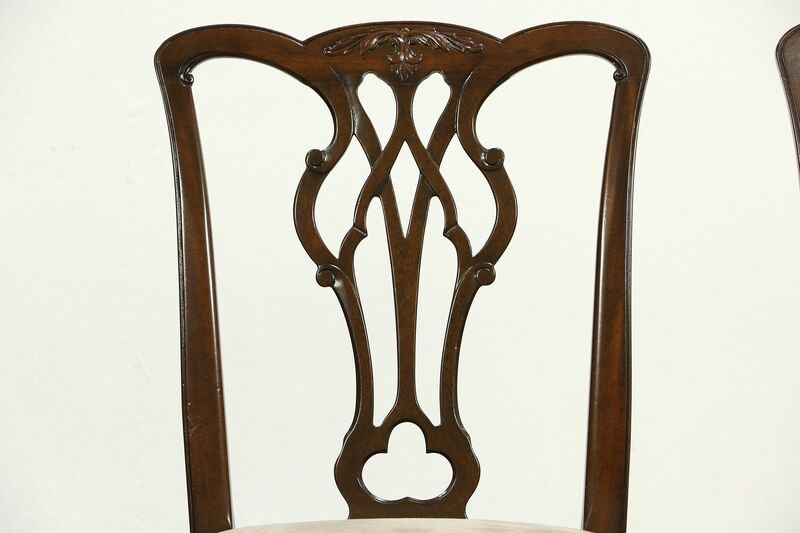 A set of six solid mahogany dining chairs from about 60 years ago are signed by famous maker, "Kittinger of NY." 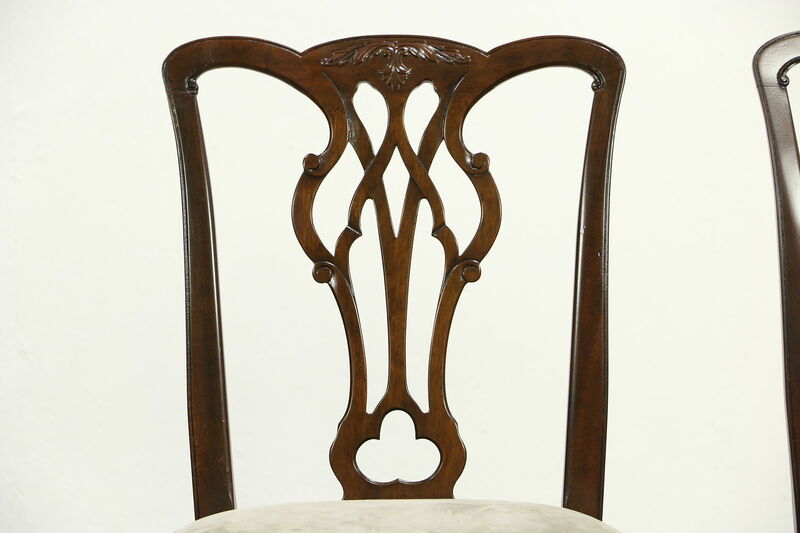 The renewed finish is in excellent condition and there is "antique" distressing for a little character. 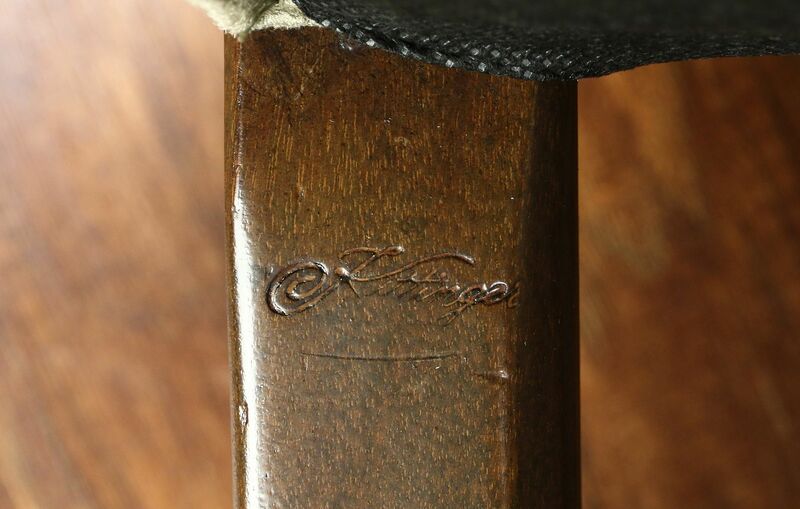 Frames are tight and strong, reglued to serve another generation. 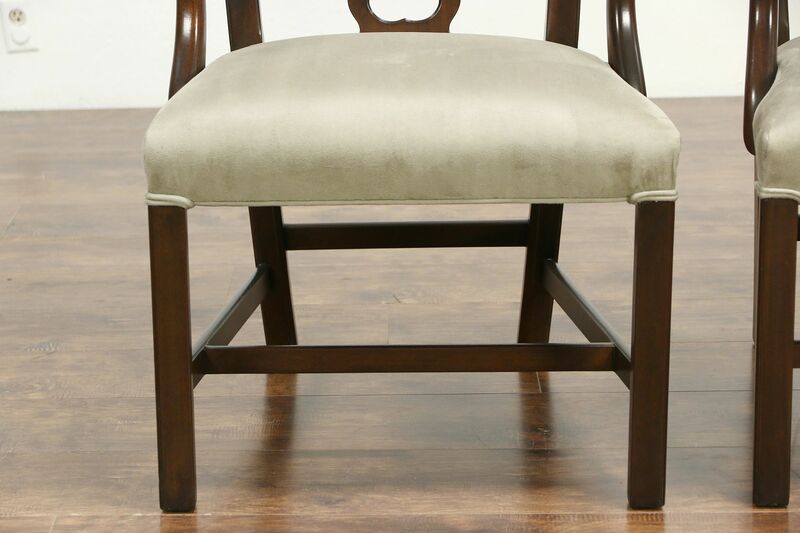 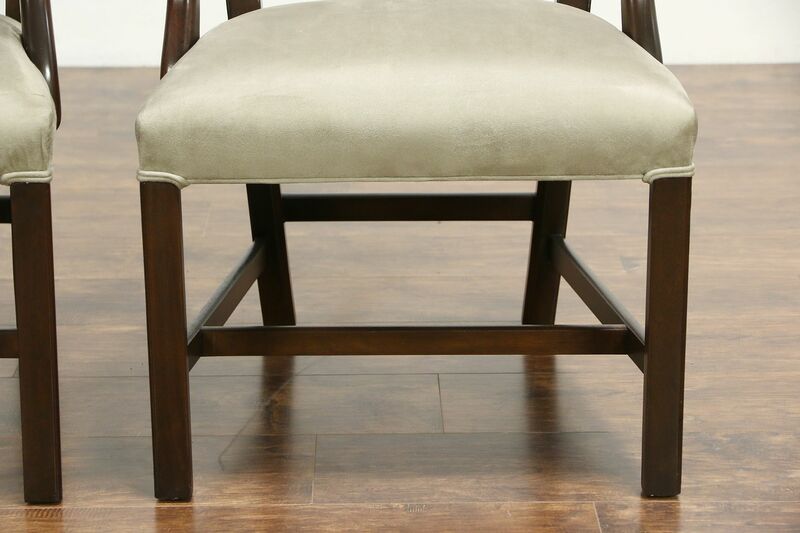 Soft suede cloth upholstery is new on this American made vintage furniture. 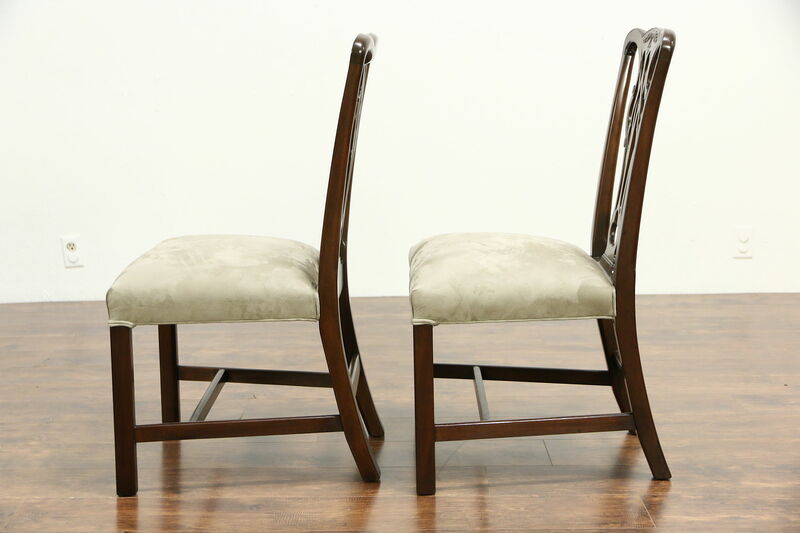 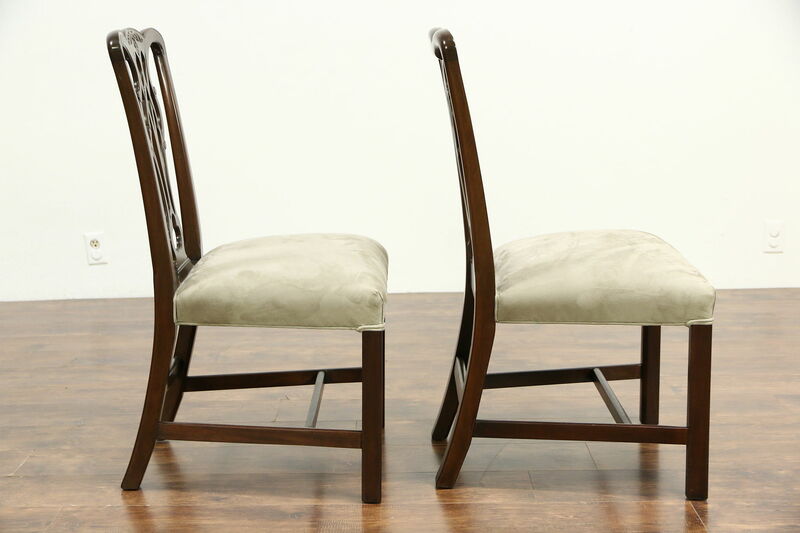 Two arm chairs measure 25" wide, 24" deep, 38" tall and wide seats are 19" high, four side chairs are 22" wide and 22" deep.